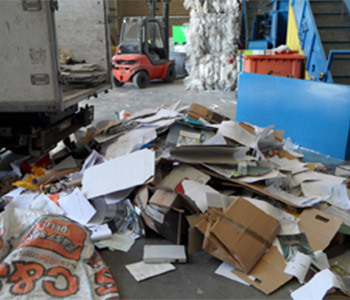 If you are a business or individual looking for paper and cardboard removal in Sydney, then we are the company for you. As the years go by, it becomes more and more important that we recycle the paper and cardboard that we use, taking as much pressure off the earth’s resources as we can. Having your used paper and cardboard collected and recycled by a professional company such as ourselves, is something you can do to ensure you are taking a responsible stance on the environmental wellbeing of our planet. For paper and cardboard removal services in Sydney, be sure to give us a call. Many businesses have paper and cardboard collections on a regular basis, as do some private estates that also create an ongoing generous amount to be disposed of. It is possible however that some may require one-off paper and cardboard removal services, perhaps someone who has just moved house and has a wealth of packing paper and cardboard boxes they no longer need, or perhaps a large shipment of purchases has been received, or a whole new house of furniture delivered. Whatever the reason, we can remove the cardboard and ensure that it is recycled. We are an established rubbish removal and waste disposal company who operate all over Sydney, which includes our paper and cardboard removal. We have a friendly customer service team who are always keen to hear from new and existing customers, to see how we can help with the day to day junk removal and rubbish disposal in Sydney. If you are interested in our service, be sure to get in touch and see how we can help you. Our pricing for paper removal is competitive, and we can remove paper and cardboard from your Sydney business on the days and times that are convenient to you.